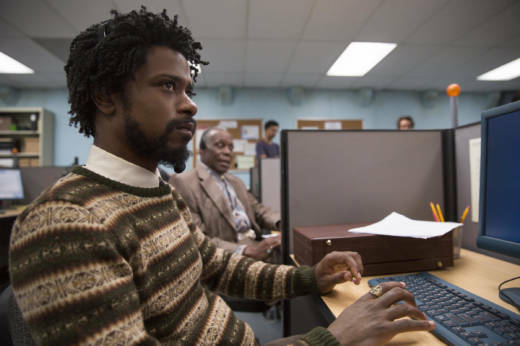 Take the movie ''Sorry to Bother You," in which a young black call center worker in Oakland is coached to put on an affected, WASPy accent to reel in customers. This film is one of several new releases by black filmmakers, bringing larger awareness to the fact that white privilege is more than skin-deep. In "Sorry to Bother You," director Boots Riley dubs in white actor David Cross’ high-pitched, nasal voice during the scenes where the movie’s black protagonist, played by Lakeith Stanfield, deftly wins over customers on the phone. Riley says he was very careful about casting that voice. "I think if you did an internet poll over what actor people think has the whitest voice, David Cross would probably be at the top," Riley says. The result is hilarious. It's also disarming, because the filmmaker is superimposing that whitest of white voices on a black character to make a serious point about a system that forces people of color to code-switch so they can assimilate in a white-dominated culture. And that, Riley says, is messed up. "Whiteness is a thing that is performed, that is not inherited, and so is blackness," Riley says. "Race is a performance. It's one that, you know, we don't necessarily have a choice in." This comes across in Spike Lee’s upcoming movie "BlacKkKlansman," where a black cop (played by John David Washington) has to suppress who he is and pretend to be white to infiltrate the Ku Klux Klan. The subject of white voice is not new, especially in the world of standup comedy. Richard Pryor was a master at it. But now, with the emergence of black filmmakers like Jordan Peele and Daveed Diggs, satire around ideas that have existed in the black community for hundreds of years, like white voice, are belatedly emerging onto the big screen. It’s a powerful way to bring attention to white privilege, says associate director of Stanford’s Institute for Diversity in the Arts, A-lan Holt. "Your skin color you can't change," Holt says. "But your voice, you can manipulate to subvert systems that subjugate our existence, like the workplace and the classroom. How can we use them to our advantage? And how can we play the game and not have the game kind of play us?" One person who knows a thing or two about playing the game is Margo Hall. "Sometimes you do it to get what you need," says the veteran Bay Area actor, director and playwright. 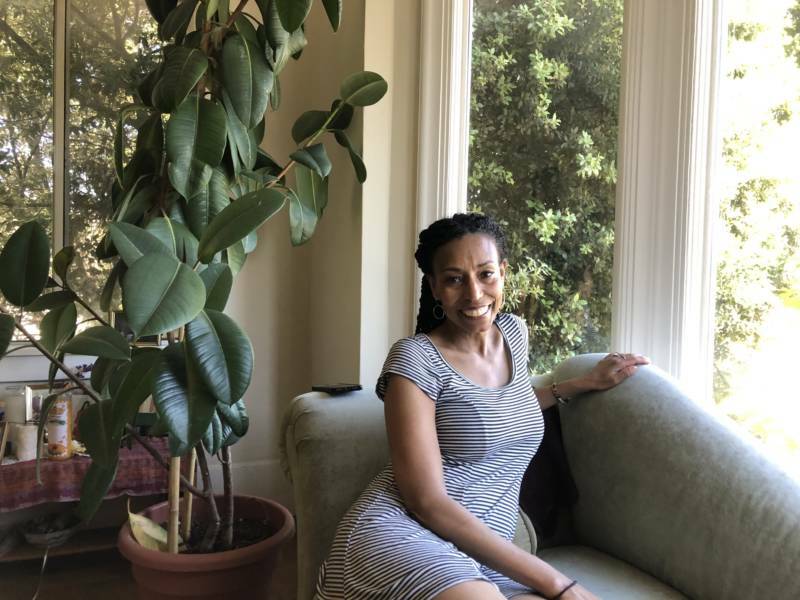 Hall has dozens of stage and screen credits to her name, including Diggs' "Blindspotting," another new, racially charged, Oakland-centric movie. Hall says if you create the illusion that you speak like a white person, people pay attention. "And they feel like, 'OK, now I can listen to you because you're not ignorant, you're not uneducated,' " she says. "And sometimes you can trick them into believing that you're white." Like the time Hall auditioned for drama school. She performed a monologue from "for colored girls who have considered suicide / when the rainbow is enuf," a classic black feminist theater piece from 1974 by Ntozake Shange. "It's this really black monologue," Hall says, and she pulled out all the emotional and ethnic stops for the audition tape she made. Hall failed her audition. But she got a second shot. "I did Emily from 'Our Town,' " Hall says, referring to the famous 1938 Thornton Wilder play about small-town America. And she says she gave it a suitably demure, buttoned-up, white-girl read. White play. White voice. Guess what? "I got into the school," Hall says. "And you know, we knew what we were doing. It wasn't like, 'Oh, I guess I have to kowtow.' It was like, 'I'm getting into school, and then I'm gonna raise hell.'" Hall says she doesn’t do the white voice anymore. And she says she feels validated by the new generation of black filmmakers gaining traction in Hollywood. "I think all of those voices, they're all going to just tear stuff up," Hall says. "I'm really excited about that." But not every black American can or wants to use a “white voice.” Maybe, Hall believes, by broaching the subject in film, eventually black people won’t have to.